Elegant UI mod that removes the Bethesda logo, smoke, and unnecessary buttons from the main menu. It also removes the intro video allowing you to skip straight ahead into the beautiful world of Skyrim. The creation club news / button is also disabled by this mod. Cleaned up the ActionScripts with the help of DaytonaNZ. 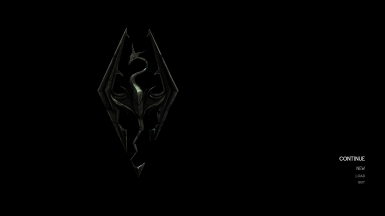 This mod removes the intro video, Bethesda logo, and smoke on the main menu. It also removes buttons from the screen that you don't need. You can find optional files to customise your main menu to your preferences. This was always a popular mod on the original Skyrim, and it owes its inspiration to that upload. However, it had one flaw in that it simply deleted the image from the flash file. 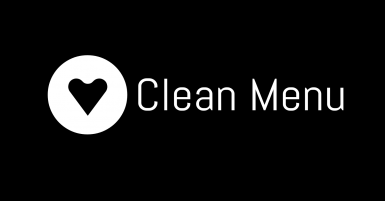 I've chosen the cleaner method of replacing the Bethesda logo with a transparent image. The menu fog was removed by setting its scale to 0. I've created a blank .bik file to replace the intro video and jump straight into the main menu, saving valuable seconds. In the optional files you'll find the files you need to have an immersive lockpicking and bookreading UI.
. Either drop the files in your Data folder, or install with your mod manager of choice.
. Fully compatible with the spinning logo mod, or other mods that change the background.
. Fully compatible with the beautiful Anthology Menu Replacers and the Sovngarde font.
. Fully compatible with 60 FPS Interface. Load this afterwards.
. Fully compatible with Immersive Bookreading and Lockpicking.
. Here is a tutorial on Reddit for making your own 60 FPS or widescreen patches. Feel free to post suggestions or requests in the comments section, and I'd greatly appreciate your endorsements. With your feedback I'll be able to create even better mods. Thanks!